Eryngium yuccifolium fits nicely into the sun drenched perennial border, but is also a good candidate for more naturalistic forms of gardening, like meadows or gravel gardens, and makes an unusual cut flower. 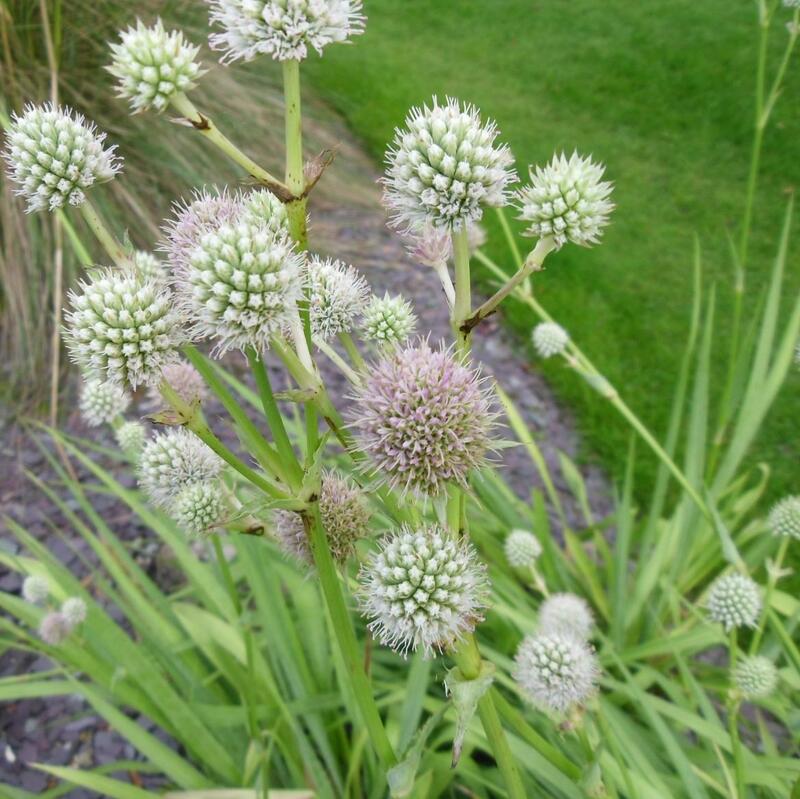 This Sea Holly tolerates most conditions as long as sunny but is particularly useful in dry conditions. 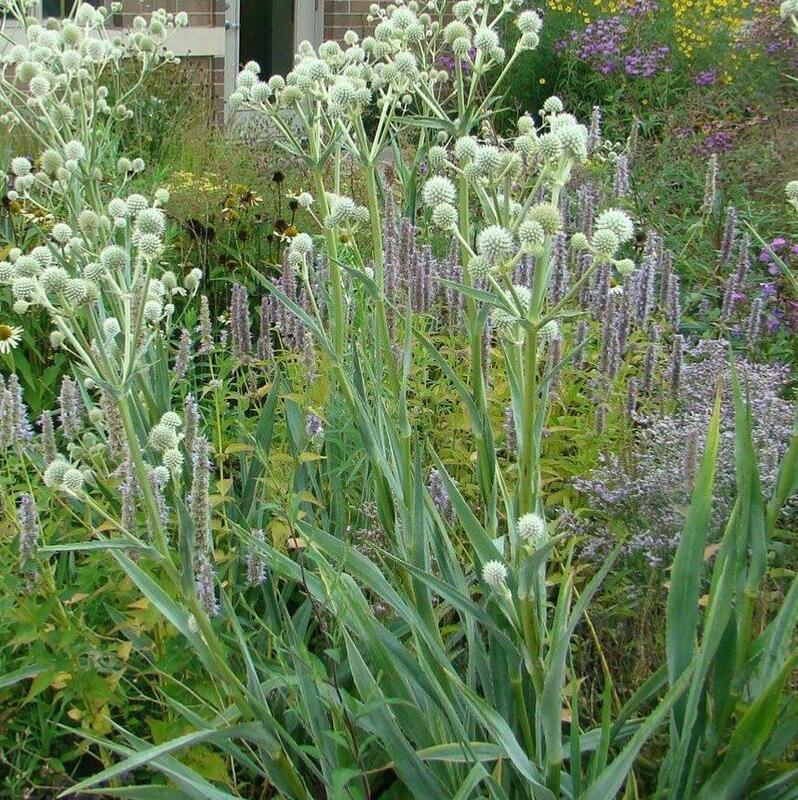 A perennial that is also very attractive to butterflies. Most members of the parsley/carrot family (Apiaceae) also known as Umbellifers have finely cut foliage and flowers in domed umbels. 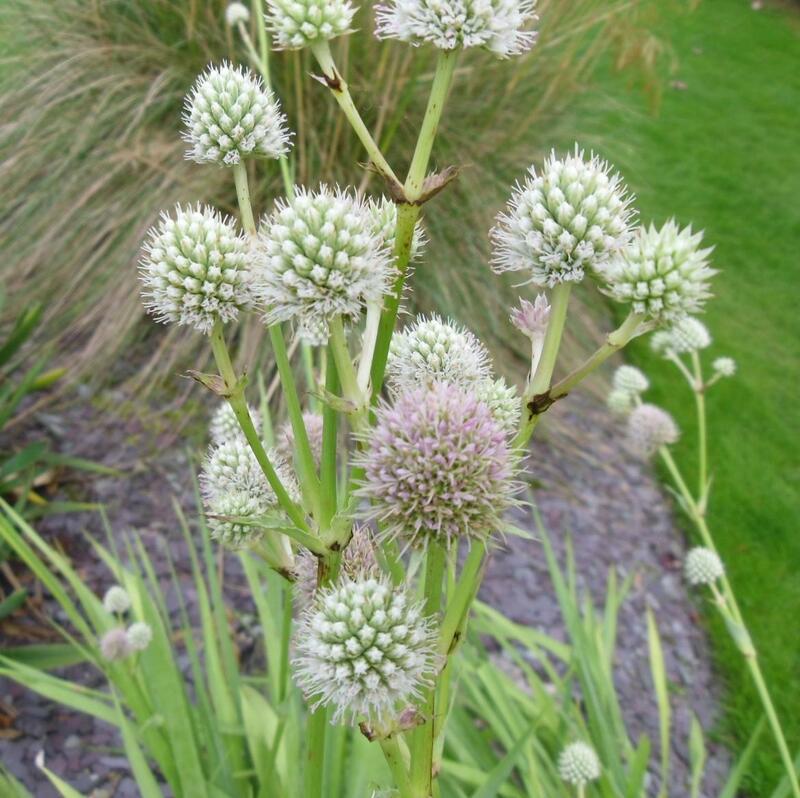 Not so with Eryngium yuccifolium which features basal rosettes of sword-shaped, grey or silver green leaves resembling those of yucca and the thistle like flower heads appearing on stems typically rising to 90-120cm tall from the centers of the rosettes.